Like most real jazz artists, Elling is best experienced live, where you can see firsthand the choices he’s making and the risks he’s taking, his close working relationship with Hobgood, the way he uses his whole body to deliver a song. After seeing Elling live in Ottawa in December, jazz writer Peter Hum described him as a “musical maximalist, setting his sights on rendering one tour de force after another.” I’ve seen him several times over the years and have always been completely caught up in the music, whether he’s performing with his own band or a big band in Fargo, with Stefon Harris or Nancy King or Richard Galliano. Between live performances—and if you’re a jazz fan, especially a fan of jazz vocals, one live Elling performance is not enough—his excellent CDs are the next best thing. Elling’s band includes Hobgood on piano, Bob Mintzer on saxophone, John McLean on guitar, John Patitucci on bass, percussionist Lenny Castro, and two drummers, Terreon Gulley and Kobie Watkins. At first glance, the track list is a bit alarming: songs by King Crimson and Stevie Wonder, the Beatles, Joe Jackson, and Earth, Wind & Fire. Don’t worry, jazz fans: This is not a pop/crossover album. That’s clear from the first track, King Crimson’s “Matte Kudasai,” which opens with Patitucci’s bass and a splash from the cymbals before becoming a showcase for Elling’s voice, which only gets more beautiful with each passing year. No fireworks here, just a gracious welcome, an introduction to McLean’s lovely guitar, and a surprise: a single phrase (“When was the night so long?”) when Elling’s voice is layered and he harmonizes with himself. A hint of things to come. If you’ve heard Elling live in the past few years, you’ve probably heard his hard-swinging take on Joe Jackson’s “Steppin’ Out.” Elling makes it his own rhythmically and also melodically by landing a half-step down at the ends of two key phrases (“Now the mist across the window hides the lines…. We’re so tired of all the darkness in our lives”). Midway through, he skips a verse and steps back so Laurence can solo. He adds his own lyrics and alters others. Herbie Hancock recorded “Come Running to Me” (in 1977) with a vocoder. Elling turns this fusion fave into a gift for his 5-year-old daughter. More layered voices in the phrase “come running to me,” added one at a time with each syllable, and again when the phrase is repeated like a mantra. At the end, Elling performs his own lyrics (“You don’t have to be afraid/not anymore/I’m here with you, baby/I’m yours, I’m yours”) over a small chorus of Kurts singing “come running to me.” It’s slow and sweet and soulful. I’m guessing that Hobgood wrote the wonderful new arrangement for the Lennon/McCartney tune “Norwegian Wood,” with its chordy, melodic piano part. A song we’ve all heard a million times is further transformed by the fresh rhythmic treatment of the lyrics, in which words and phrases are stretched like taffy. Midway through, McLean gets a rock-god guitar solo. Once more, Elling harmonizes with himself. This is a very pleasant effect; if one Kurt is good, more Kurts are better, right? It could have been overused—it almost is, but not quite. We probably won’t hear it in live performance; I’m not sure I would want to hear it. Studio effects are fine in studio recordings but let’s leave them out of live jazz shows, please. “Blue in Green,” an homage to Bill Evans and Miles Davis, is translucent and shimmering. Soft curling chords on the piano, rolling waves from the cymbals, singing Bill Frisell-style notes on the guitar, and Elling’s voice, open and breathy, multi-layered, then soaring impossibly up and up into an ethereal falsetto. This is the halfway point of the CD and its glowing centerpiece. “Samurai Cowboy” (called “Kabuki Cowboy” in performance at Gustavus Adolphus, Elling’s alma mater, in 2009) is a complete change in mood, a tune by bassist Marc Johnson ("Samurai Hee-Haw" from Bass Desires) with sassy, complex vocalese lyrics by Elling over a repeated vocal chorus (bum-dum-dum, ch-ch-ch-ch) and spirited blowing by Mintzer. Question: What’s a “skully hutch”? Two jazzy versions of pop tunes follow: a yearning and passionate take on Earth, Wind & Fire’s “After the Love Is Gone” (interestingly, a tune where Was could easily have multiplied Elling’s voice—listen to the original—but chose not to) and an upbeat version of Stevie Wonder’s “Golden Lady” with a fine solo by Mintzer and a taste (a very small taste, an amuse-bouche) of scatting by Elling. They round out the CD nicely and lead us into the finale. 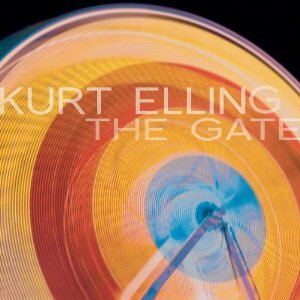 With Was as producer, The Gate is polished to a high gleam, yet except for a few studio tricks, it’s a romantic, swinging, eclectic and enjoyable Kurt Elling album, with the emphasis on album. Download a single or two and you’ll miss the full effect. In some ways, The Gate is more subtle than previous albums; there’s no bring-down-the-house, big-finish “Tanya Jean” or “Dolores Dream,” “Resolution” or “A New Body and Soul,” no mystical “love poem from God” (the moon/moth poem Elling often includes in “My Foolish Heart”). But there is the exquisite “Blue in Green.” “Norwegian Wood” may knock the Beatles’ version out of your head, once you’ve heard it a few times. “Come Running to Me” haunts as well as beckons. “Samurai Cowboy” is cheeky fun. There is much to hear, savor, and think about on first and repeated listenings. Is it better than Dedicated to You? That's an apples-and-oranges question. Dedicated to You was a project CD, born out of a commission for the 2006 Chicago Jazz Festival that became a concert, a tour, and a successful recording. The Gate is, as Elling told Chicago Jazz Magazine, "an obvious step forward, specifically down the road we were going down when we did Nightmoves, which was in its way another step down the road from everything else we've done...it all seems to be a very clear advance for me." Well, it's a reference to a lot of things. It's a reference to "swings like a gate." It's a reference to the Gateless Gate that you'll find in the East. To the gate that you'll pass through between the sacred and the profane that is around you all the time, that is awaiting every step, that you fall into, that you experiment with from childhood on... And also, every recording is a gate. Every recording is something that you pass through, that makes a new statement, that takes you into a new territory. The Gate will be released on Tuesday, February 8. 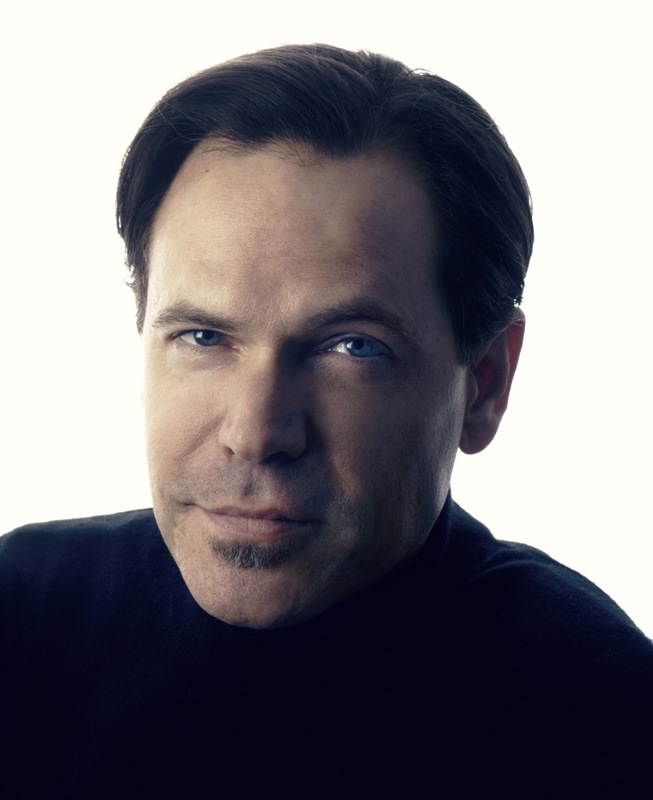 The Kurt Elling Quartet featuring John McLean will perform at the Dakota on Wednesday and Thursday, February 9 and 10. "Kurt Elling and Laurence Hobgood...In their own words" is a lengthy and informative interview available at Chicago Jazz Magazine. Read my reviews of Kurt Elling concerts in New York, Saint Peter, MN, and Fargo, ND. My bad; I haven’t yet written a review of his performance at the Allen Room in 2010 with Richard Galliano, during which he sang in four languages. Fantastic review of a wonderful album. You are so right about the need to see him live yet his albums are satiating our desires more and more. My fave recording is "Man In The Air" and "The Gate" takes a very close second. 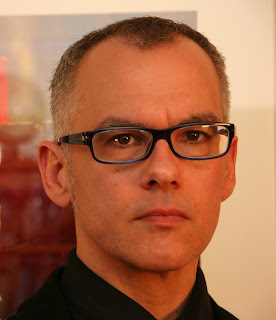 Very excited to see him this weekend in Seattle with Laurence Hobgood on piano, Harish Raghavan on bass, Ulysseys Owens Jr.on drums and John McLean on guitar.